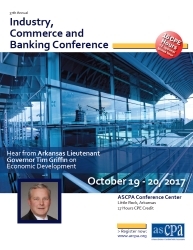 Adviant Midwest managing principal, Jonathan Scales, will speak with Brooke Houk, of the Houk Group, at the 2017 Arkansas State CPA Society Industry, Commerce, and Banking Conference. Jonathan and Brooke will discuss insurance cost-cutters for both employers and individuals and address chronic disease prevention and management, as well as, actionable items that can be done from an accounting and HR perspective to save companies and employees money. Adviant Midwest managing principal, Jonathan Scales, along with Brandon Davis, of Davis CPA Group, will present informative workshops at the Joplin, Missouri, Chamber of Commerce and provide an overview of the upcoming changes to regulations that govern the payment of overtime compensation. The workshops will provide information that will help employers prepare for the new law. Adviant Midwest managing principal, Jonathan Scales, will speak to L.O.G.I.C. or the “League of Grant Writers Ingesting Coffee” of Joplin, Missouri, and provide an overview of the upcoming changes to regulations that govern the payment of overtime compensation. L.O.G.I.C. was assembled in response to the May 22, 2011 tornado in Joplin as a way to build better lines of communication between area grant seekers and writers and ultimately create more productive collaborations in accessing funds, both for recovery purposes and long-term operations and programming. Adviant principal Jonathan Scales spoke at the 2010 Gulf Coast Symposium on HR Issues. The event was held at Reliant Center in Houston, Texas on May 12 and 13. Jonathan's presentation included strategic and tactical approaches to integrating Health Savings Accounts into an organization's total rewards framework. Adviant principals Paul Bazell and Jonathan Scales will speak at the 2011 Texas Total Rewards Conference to be held September 19 and 20 in Dallas, Texas. Since the late 1990s, the conference has been one of the premier human resource events for compensation and benefit professionals in the Southwest. Visit the conference Web site for more information at www.txtotalrewardsconference.org. Adviant principals Paul Bazell and Jonathan Scales will deliver a presentation on innovative total rewards solutions at the monthly Houston Compensation and Benefits association luncheon in March. The Association provides current information, service, and communication opportunities to all practitioners of the compensation and benefits profession in the Houston, Texas area. For more information on Houston Compensation and Benefits, visithttp://houstoncandb.org. Adviant principal Jonathan Scales will speak to the Rotary Club of Joplin, Missouri on April 7, 2011 at The Twin Hills Golf and Country Club and share some quick tips and concepts on human resources and how employers and employees can get the most bang for the buck for their payroll dollar and out of their paychecks. For more information on the Rotary Club of Joplin, visitwww.joplinrotary.org. For the third year, Adviant principals Paul Bazell and Jonathan Scales exhibited at the 3rd Annual Qualified Plan Fiduciary Summit, sponsored by Lawing Financial, a leader in the 401(k), employer retirement plan, and investment advisory industry. For more information on the summit or Lawing Financial, visitwww.lawingfinancial.com. Adviant principal Jonathan Scales will speak to the Rotary Club of Joplin, Missouri on July 7, 2011 at The Twin Hills Golf and Country Club and share human resources and business planning information to consider in light of natural disasters, similar to the tornado that destroyed much of Joplin on May 22. For more information on the Rotary Club of Joplin, visit www.joplinrotary.org.